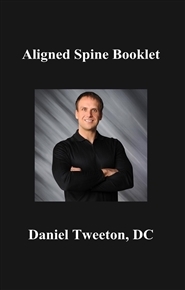 Dr. Daniel Erik Tweeton is a fourth generation chiropractor who wrote this booklet to educate readers on spinal misalignments. Covered topics include why misalignments happen, why they are a problem, and most importantly, what can be done to fix and prevent them. The hope is for the reader to use this booklet as a quick reference guide to improve the health of their spine and nervous system. The author firmly believes that actions taken to address spinal misalignments will have a beneficial impact on health and wellness.